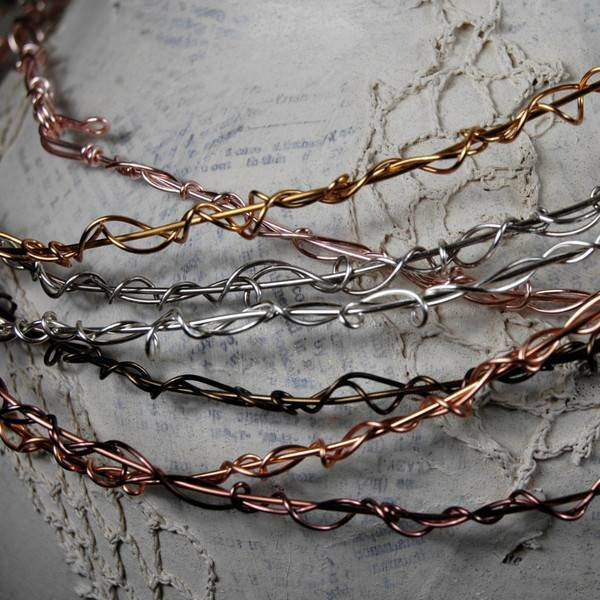 Neckvines are thin, lightweight, flexible necklaces that hold even the largest pendant comfortably. They can also be worn alone as a simple choker. Each freeform neckvine will be slightly different.